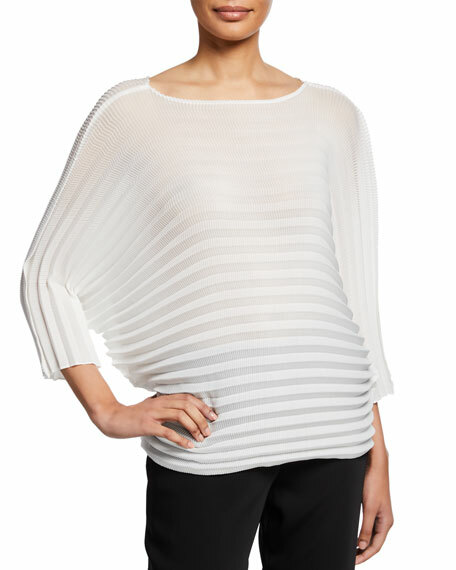 Issey Miyake knit top with straw pleating. 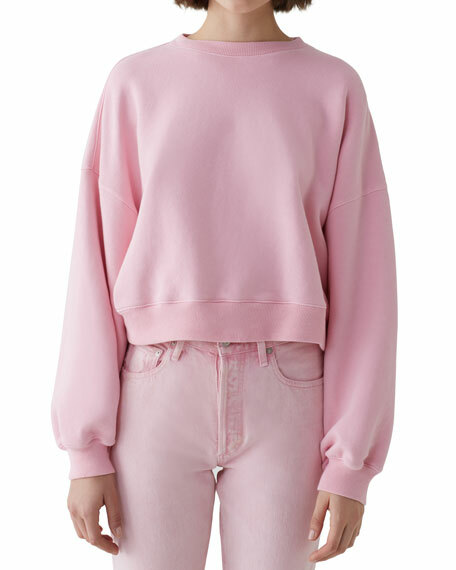 AGOLDE sweatshirt. Ribbed neck, cuffs, and hem. Crew neckline. Long balloon sleeves. Dropped shoulders. Relaxed fit. Pullover style. Cotton. Made in USA. 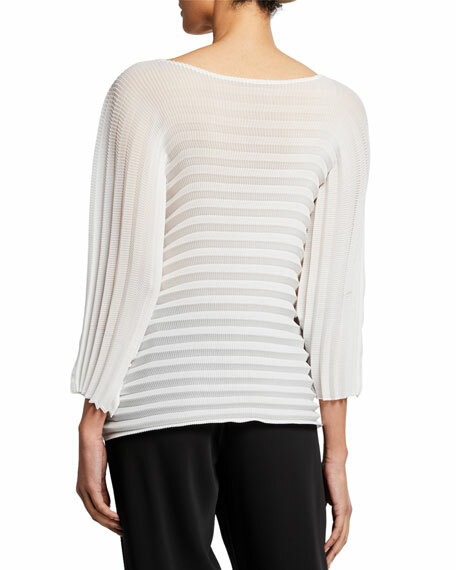 cinq a sept "Amal Pullover" metallic fern-print top in Merino wool-blend. Scoop neckline. Short dropped sleeves. Cropped hemline. Relaxed fit. Nylon/Merino wool/acrylic. Imported. 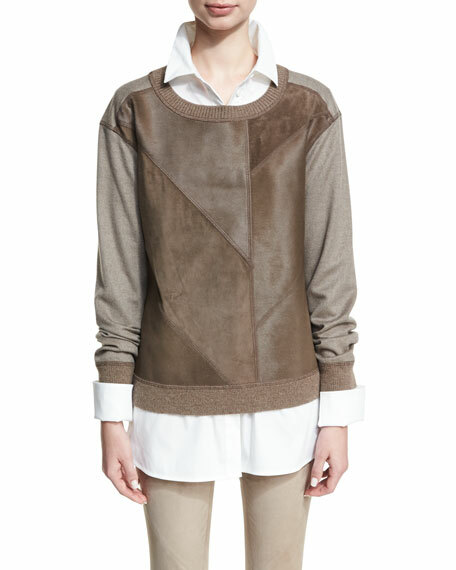 Lafayette 148 New York top with dyed calf hair (New Zealand) fur patches. Crew neckline. Long sleeves. Relaxed fit. Ribbed hem. Pullover style. Cashmere. Imported. Tabula Rasa "Amma" crop top in pleated, block-striped knit. Square neckline. 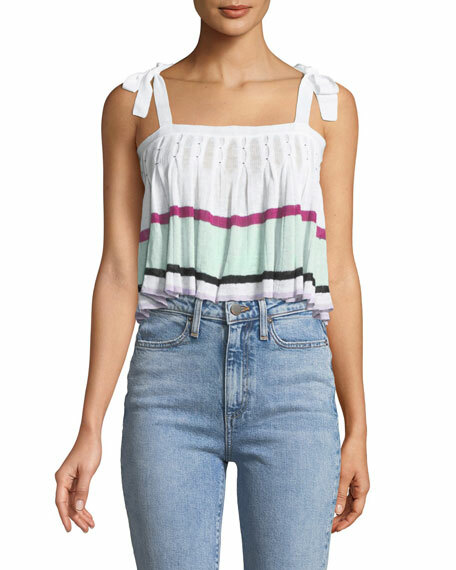 Sleeveless; bow shoulders. 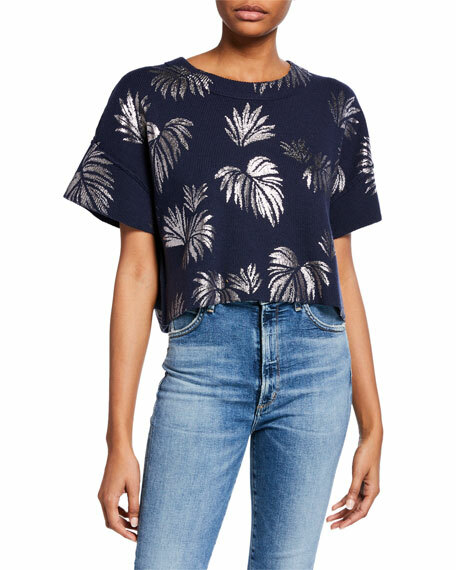 Draped, cropped fit. Pullover style. Linen/viscose. Dry clean. Imported.